A look at the architectural evolution of Florida's first industrial corporation and retail chain to be listed on the New York Stock Exchange. The first Table Supply store. Identified in the photograph are: W.M. Davis (founder at the far right), third from left is his son J.E. Davis and fifth is son A.D. Davis. Courtesy of State Archives of Florida. Winn-Dixie traces its roots back to 1925 when William Milton Davis acquired the Rockmoor Grocery in Miami. In 1931, after changing the company’s name to Table Supply a few years earlier, a chain of 33 stores in South and Central Florida was created with the acquisition of Tampa-based Lively Stores. At the same time, a grocery chain based in Jacksonville was in the midst of rapid expansion as well. 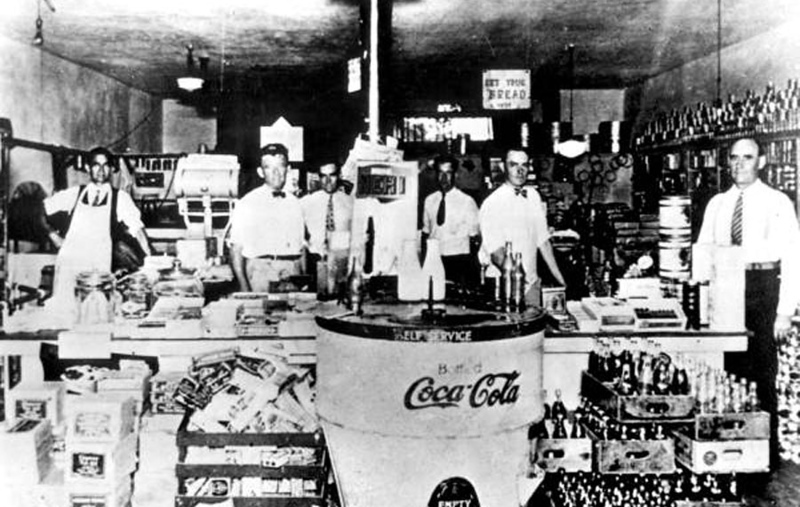 Founded by William “Bill” Lovett in 1928, the Winn & Lovett Grocery Company had expanded to 78 stores in Florida and Georgia when Lovett convinced Table Supply to acquire 51% of his company’s stock in 1939. As a result, the Winn & Lovett became the company’s new moniker and in 1952 it became the first Florida industrial corporation to be listed on the New York Stock Exchange. Inside Lovett’s on Forbes Street in 1947. Courtesy of State Archives of Florida. 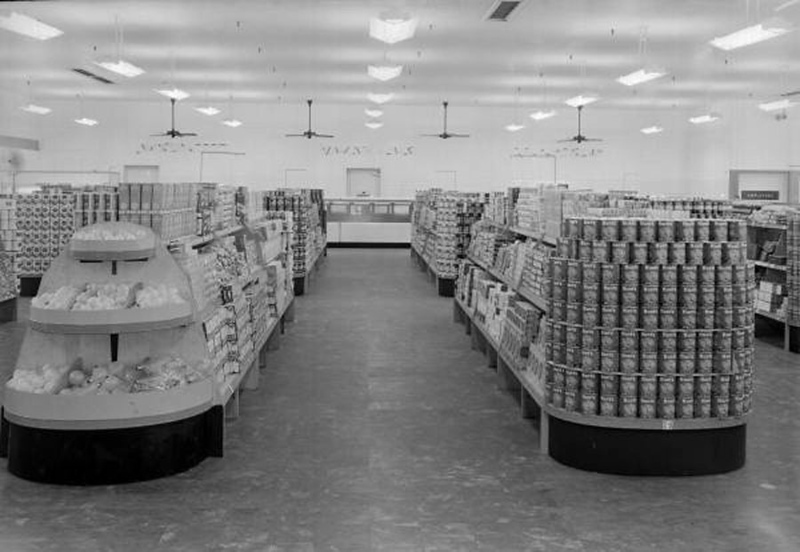 Three years later, Winn & Lovett merged with Greenville, SC based-Dixie Home Stores, becoming Winn-Dixie Stores and one of the top ten supermarket chains in the country. Winn & Lovett merged with Dixie Home Stores of Greenville, South Carolina, which operated 117 stores, and changed its name to Winn-Dixie Stores, Inc. With this merger, Winn-Dixie broke into the top ten supermarket chains and from the mid-1950s through to the mid-1960s was the most profitable company in the industry. 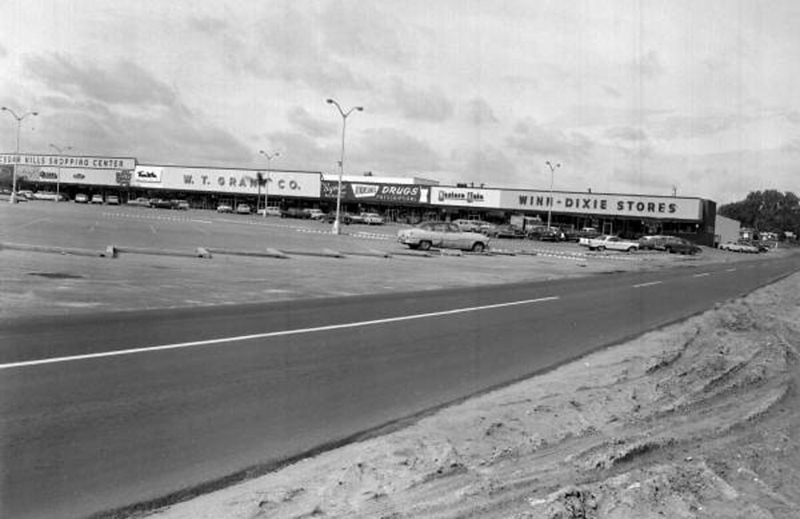 When Winn-Dixie opened a new 16,500 square feet in Tallahassee’s Apalachee Parkway Shopping Center in 1958, it immediately became one of the largest supermarkets in the Big Bend area. Courtesy of State Archives of Florida. During the decades that would follow, store sizes would grow from as little as 5,000 square foot markets to 55,000 square foot giants, leaving a pattern of evolutionary growth through the city where Lovett established his first markets prior to the Great Depression. 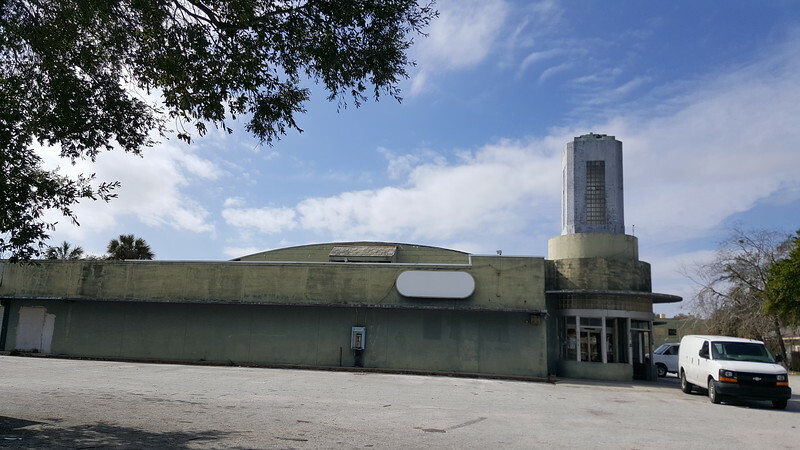 Many of these original structures that most would not recognize as once being a part of the Winn-Dixie brand and legacy still stand across throughout Jacksonville’s historic core and inner ring suburban communities. 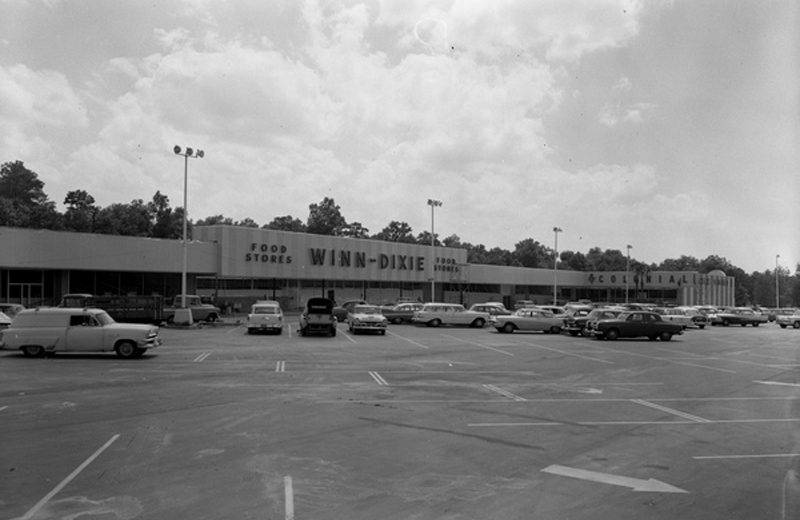 A Winn-Dixie in Jacksonville’s Cedar Hills shopping center in 1959. Courtesy of State Archives of Florida. Here’s a look at the chain’s evolution into a company operated by Jacksonville-based Southeastern Grocers with 41,000 employees, 495 stores and $10 billion in annual revenue. A former 15,847 square foot Lovett’s store in Springfield at 2500 Charlevoix Street.